Stained-glass Magic. Paint, peel, done! Create high build, colourful, 3D-like pictures. Ideal for decorating windows, mirrors, glass, porcelain, tiles and many other smooth surfaces. 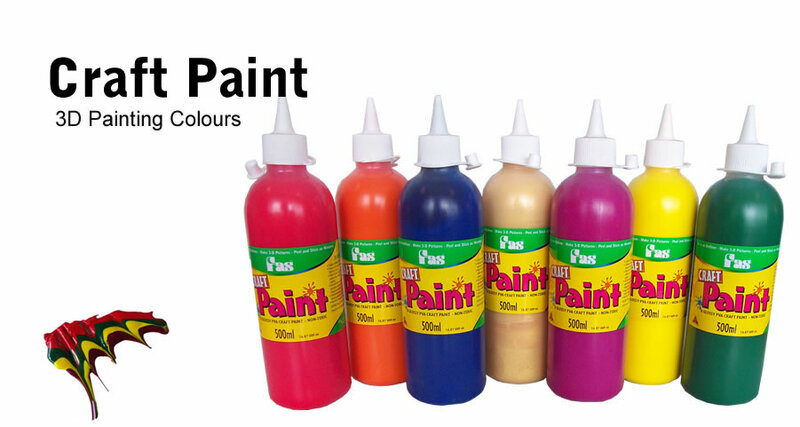 Craft Paint is a non-toxic high strength PVA that features special elastic consistency that dries bright colourful and glossy. Create your window decoration directly with the paint bottle – no brush needed. Use on a smooth surfaces for peel able artworks like glass and plastic or paint directly onto paper, card or foil. Clean up with warm soapy water. Wear old or protective clothing. Available in: 500ml soft squeeze bottles.